I am sure you have heard of the famous saying that “everything has a price”. Without realizing it, identify theft is a price that we all could pay if certain precautions are not taken. Even though we are so busy using advance technology that has proven to make our lives more convenient and easier, we tend to overlook the consequences that it brings with it. The only reason identity theft has become a bigger threat today than ever before is solely based on technological advancements. Because these advancements are recent, companies such as LifeLock were not in existence a couple of years ago. Ever since the technology industry advanced at the unexpected rapid pace that it has, the market has seen an increase in the number of companies offering protection against identity theft. Even though there may be a large market from which to choose in relation to those that offer protection against identity theft, it is important to opt for one that is both reliable and trustworthy. Identity theft is no child’s game and can have enormous consequences if not dealt with seriously. For these reasons, it is important that you select a company such as LifeLock that is both professional and dedicated toward the service they provide. Although there are many other competitors similar to Life Lock ID Protection, there are a number of excellent services that differentiate LifeLock from any other service provider in the market. One of these services that Life Lock offers which separates it from the rest is the automatic renewal of fraud alert on your personal credit files. LifeLock issues this fraud alert through three well known bureaus. What this does is that it basically requires credit companies to contact you directly if there has been a specific request to extend your credit amount. There are cases where people will extend their credit amount in your name which is another way of saying identity fraud. Because LifeLock issues this alert, it requires any credit company that receives an application in your name to increase a credit amount to directly contact you. This can either be through a telephone number provided by Life Lock or other means if necessary. This alert is known to expire on a three-months basis; however, a wonderful advantage of LifeLock is that they offer an automatic renewal which means one less hassle for you to worry about. LifeLock is also known to implement procedures to help remove your name from every junk mailing list out there whether it is online or offline. There are a large number of credit providers that offer pre-approved credit amounts. They have no requirements for your credit amount to be approved which in result leads to many such companies having your name on their lists. This has proven to be quite dangerous in regards to identity theft. Unlike other identity theft companies, LifeLock understands the important of going to the root of the problem and eliminating every possibility before it becomes one. LifeLock also makes sure that all your names from such lists are removed. What is the main factor that distinguishes Life Lock from other similar organizations that offer identity theft protection? Most other organizations that offer a similar service are known to act more as an insurance coverage where they will simply reimburse you for any loss that you suffer due to identity theft. This is where LifeLock is significantly different. 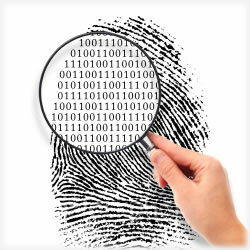 They are known to monitor and take action against the possible reasons which cause identity theft in the first. They offer a more complete and comprehensive protection package in comparison to most other companies. For more information you can visit their website at www.lifelock.com. There you can find all the necessary details you need to know about price, features and additional reasons as to why LifeLock ID Theft Prevention is better than any other identity theft company.